We take great pride in our ability to assist and advise the Personal Representative so that he or she avoids the numerous pitfalls and problems that are not readily apparent to those untrained in the practice of Probate Administration. 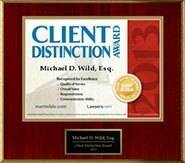 Both the Personal Representative and the beneficiaries of the estate deserve the service of a competent professional to ensure that the estate is administered properly and that costly mistakes are avoided throughout the probate administration, which often involves extremely complex considerations that are not apparent to the client or the beneficiaries of the estate. Our South Florida firm is able to handle all aspects of the administration of the decedent’s estate, including notifying and satisfying the decedent’s creditors, implementing procedures to avoid estate litigation, and collecting the estate’s assets. We are then able to preserve and protect the assets by evaluating any issues concerning exempt property, family allowance, and elective share benefits, as well as evaluating and discussing opportunities to minimize estate taxes. Our attorneys will also prepare and file the United States Estate Transfer Tax Return, the Florida Estate Tax Return, the decedent’s final United States Individual Income Tax Return, and the United States Fiduciary Income Tax Returns. After distributing the assets to the beneficiaries, we will then prepare the final accounting of the Personal Representative, and obtain receipts and releases so that the Personal Representative is discharged and not later sued concerning issues of estate administration. Handling the probate of an estate can be a very time consuming, expensive, and stressful process. Let us handle it for you and make the entire experience go faster, cheaper, and worry-free.